SOLD! 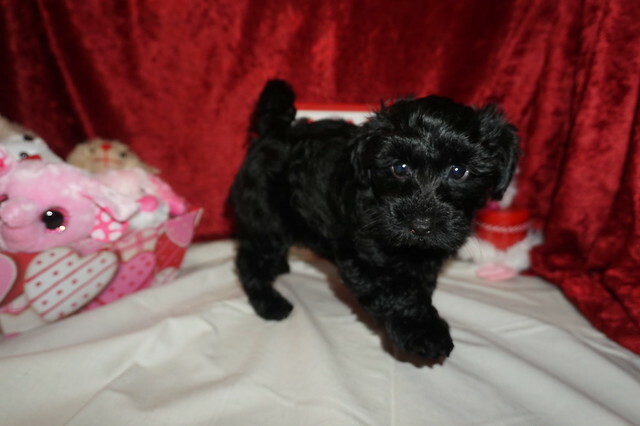 Sassy Sweetest Black Female CKC Morkipoo Says Let Loving Begin!! Rev up your engines! Sassy is her name and playing is her game! This playful girl can’t wait to go on adventures with you. Just picture it now: running through the park, playing fetch, and so much more! Sassy is the best of both worlds with her beauty and loving personality. Don’t let her get away. She’s a great girl looking for a great family like yours. Once she’s with you, you’ll wonder how you got along without her. Waiting my new name and on my new home is Brunswick, GA.